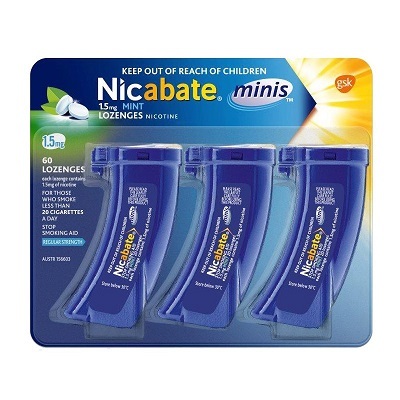 Nicabate Minis: Relieves sudden cravings in minutes, anytime, anywhere. Pocket-sized pack is easy to keep with you. Quit one cigarette at a time. One lozenge to be placed in the mouth and be allowed to dissolve to be effective. From time to time, move the lozenge from one side of the mouth to the other.